Welcome to Southwest Florida, truly a vacationer's paradise, situated along the Gulf of Mexico stretching from Sarasota to Everglades City. Southwest Florida is a diverse region growing at a record setting pace. Each city has its own unique qualities to offer. Among some of the wonderful amenities are a vast array of museums, nature trails, historic homes, galleries, theatres, golf courses, fishing, boating and our famous beaches. Southwest Florida is known for its fantastic fishing starting with our world renowned tarpon tournaments, year round tennis and abundant manicured Florida golf courses. 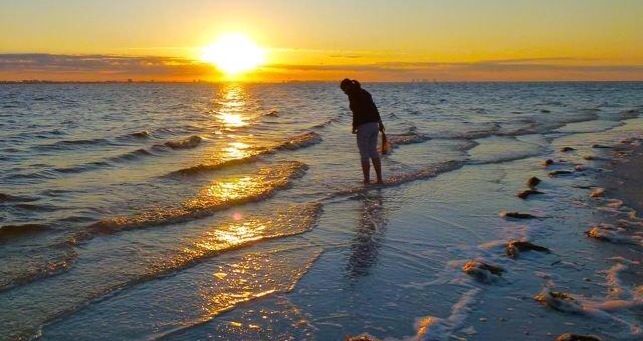 From the famously romantic white sand beaches of Sanibel and Captiva Islands, to the exciting nightlife of Fort Myers Beach and Downtown Fort Myers, Southwest Florida has something for everyone. Ideally located north of Marco Island and just between Naples and Fort Myers, the community of Bonita Springs offers the unique and inviting Old Florida lifestyle of a charming small beach town. Beautiful beaches along with the sparkling Gulf of Mexico and the natural beauty of Estero Bay offer sun-lovers and anglers the ultimate paradise. Bonita Springs has some of the most beautiful beaches in all of Florida and it's no wonder, since the word "bonita" in Spanish translates to mean just that. The beaches that line the coastline bring people in from all over the world for the sun and the miles of soft, white sand. Beachgoers have the opportunity to experience great shelling, swimming, kayaking, windsurfing and the occasional dolphin and sea turtle nesting sightings. Perhaps nothing defines Bonita Springs like the beaches and the clear water that are just steps away from the sand. Bonita Springs' culinary delights offer a unique combination of local establishments and national restaurant chains. Whether you are taking in the sunset at a waterfront restaurant, or you are out for formal or casual evening, prepare your taste buds for savory eats that range from fresh, Florida seafood on the menu to diverse international cuisines. Even, as Bonita Springs' dining options continue to multiply, be sure to know that your meal will always be served with the charm that characterizes this fair town. No need to count sheep while in Bonita Springs, with accommodations including dependable hotel chains, condo rentals and beachfront cottages, finding a place to rest your weary head is easy. If you are visiting for a weekend, a month, or for the winter season, Bonita Springs offers you many great choices. Fishing in Bonita Springs is excellent throughout the year. Canals wind through neighborhoods and connect bays to the Gulf of Mexico. These mangrove shorelines, grass flats, and channels offer fishing enthusiast an angler's playground in the variety of backwater and offshore places to catch snook, redfish, snapper, grouper, flounder and so much more. Southwest Florida and Bonita Springs have been deemed a "paradise for golfers" with it's abundance of courses. If golf is your game, these beautiful public and private golf facilities are ready to challenge all skill levels. Many of the courses are designed by famous architects and PGA Tour players alike and beckon a tee time year round. The antique villages, art galleries, souvenir T-shirt shops and flea markets are great for shopping finds. Or you can choose to discover the beautiful outdoor boutique and shopping malls including The Promenade, Coconut Point, Miromar Outlet Mall and more. The retail outlets, upscale boutiques and unique shops nestled within the greater Bonita Springs area, are reflective of this city's lure. 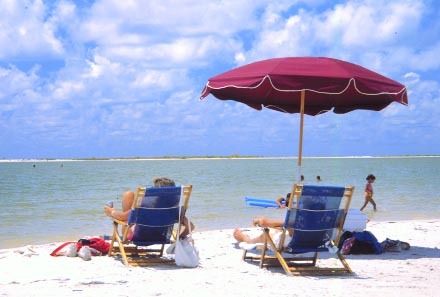 Fort Myers offers its own great beaches as well as being surrounded by some 100 barrier and coastal islands to explore. The shelling is stupendous, and the nearby Bailey-Matthews Shell Museum is inspirational. The Great Calusa Blueway offers 40 miles of canoe and kayak trails. Before bridges connected Estero Island to the mainland, Fort Myers Beach was a 7-mile stretch of coastline known for its shallow water, no undertow and little else. These days, the safe beaches remain, along with family-friendly resorts, charming Gulf-side seafood restaurants and nightlife that gets going just after yet another immaculate sunset. Where this island really shines is in the various recreation possibilities outdoor enthusiasts enjoy like Lovers Key State Park, where back bays and mangrove forests make for great kayaking and wildlife watching. 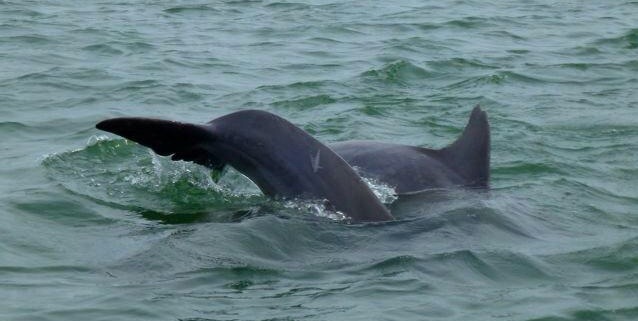 Explore Fort Myers, Fort Myers Beach, Cape Coral, Boca Grande, Captiva and Sanibel Island. Some call it Downtown Fort Myers. Others know it as the historic River District or the City of Palms (drive down McGregor Boulevard and you'll know why). Whatever its name, since Thomas Edison and Henry Ford established their winter estates here, this Southern influenced town has grown into a city with attractions and atmosphere worthy of a bigger city's envy. Indigenous peoples, the Calusa Indians, inhabited the islands nearby. Later, pioneers settled the pine flatwoods, and cattle drivers escorted their charges down what is now McGregor Boulevard to ships docked at Punta Rassa. Thomas Edison and Henry Ford put the town on the proverbial map when they chose the City of Palms as their winter getaway. 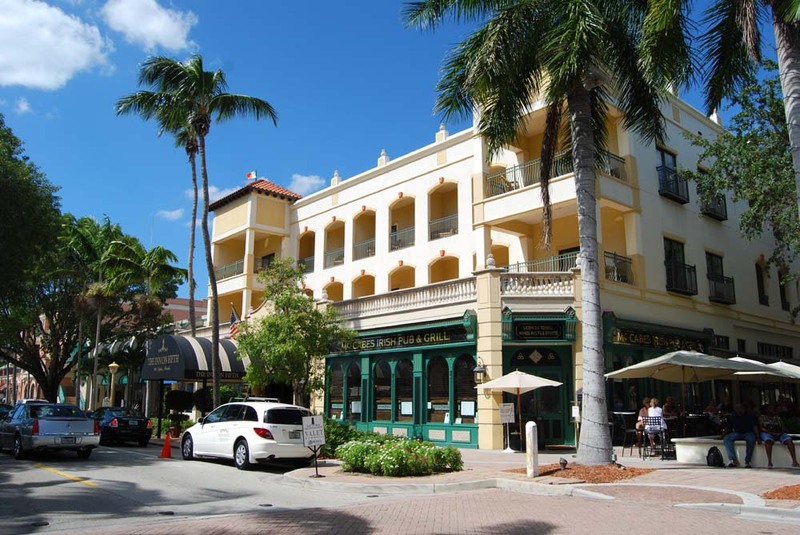 Today, Fort Myers is a bustling metropolis with ecological, historical and cultural attractions, as well as shopping across the spectrum – high-end outlets, antiques, boutiques and outdoor malls. Dining and nightlife entertain when the sun goes down – watch a spectacular “show" as it sinks over the Caloosahatchee. Captiva Island is a secluded island paradise filled with spectacular natural beauty and grace. Mother Nature has designed and groomed magnificent tranquil beaches and wondrous areas of tropical native plants and wildlife that seem only possible in a dream. 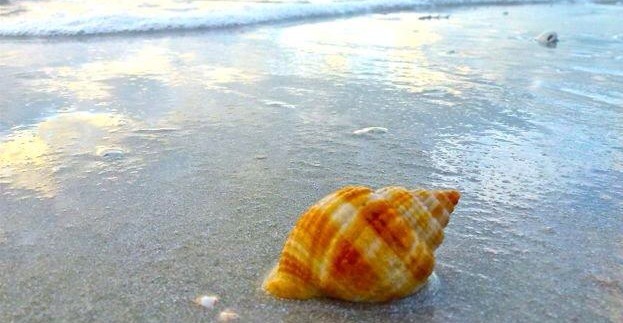 The beach sands are filled with the tremendously abundant seashells that have washed ashore from the Gulf of Mexico making Captive Island one of the most renowned areas for shelling. It is a beauty to behold. The island offers an extraordinary playground for both adults and children. The enchanting white sand beaches provide hours of fun with shelling, sandcastles, water play, and simple relaxation. If you’re looking for a romantic interlude, this tropical paradise provides the perfect, private rendezvous. What could be more romantic than to take your wedding vows on a gorgeous beach with lush, tropical trees, birds whispering sweet songs of love and the majestic sun setting quietly behind you? 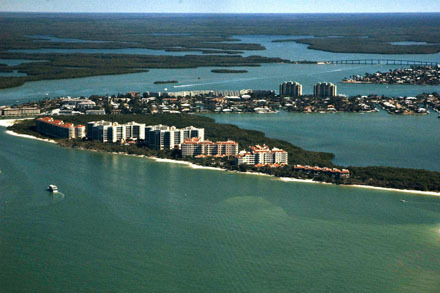 Estero is sandwiched between Naples to the south and Fort Myers to the north. For many years, Estero was a citrus community. Today, it lays claim to Florida Gulf Coast University, one of the state's youngest universities. Historically and culturally, the heart of Estero is the spring-fed Estero River, which flows to Estero Bay. Some of the earliest European settlers of the area (notably the Alvarez, Fernandez, Johnson, and Soto families) were fishing families that lived on Mound Key a mangrove-ringed island that dominates Estero Bay. During the early 20th century, these families moved upriver to the settlement which came to be known as Estero. Estero is also the location of a utopian community called the Koreshan Unity, which is now preserved as the Koreshan State Historic Site. Until the 1970s, most settlement and development in Estero was near the river. Explore the wilderness of the Ten Thousand Islands by land, boat or air. Enjoy superb fishing and abundant wildlife. Nestled in the mangrove islands of southwest Florida's coast, Marco Island is indeed a world-class resort destination surrounded by miles and miles of pristine, uninhabited islands, bays, creeks, and the Gulf of Mexico. To the north is the Rookery Bay National Estuarine Research Reserve and its Briggs Memorial Nature Center. 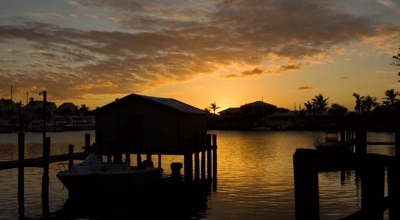 To the south lies the sprawling 10,000 Islands with over 70 coastal miles of fly fishing heaven, inhabited only by the tiny fishing villages of Goodland, Everglades City, Chokoloskee and eventually Flamingo. Included in this southerly stretch is Collier-Seminole State Park, the 10,000 Islands National Wildlife Refuge, Fakahatchee Strand State Preserve, Big Cypress National Preserve and the 5000 square mile Everglades National Park, ensuring continued protection against coastal development. Four miles wide by six miles long, Marco Island is home to about 14,000 year-round residents. During the months of January through March however, the island population swells to well over 30,000 due to the annual influx of vacationers and winter residents, filling up the large inventory of hotel rooms, condos, villas and apartments. No wonder, with our dependable sunshine and winter afternoon temperatures usually in the 70's and 80's. Naples is the crown jewel of Southwest Florida - nestled on the sun drenched beaches of the Gulf of Mexico. Naples is known for world class shopping, dining and abundant, challenging golf courses. It is also, only steps away from island seclusion or the untamed tropical wilderness of The Everglades. Boasting one of the nation's best sandboxes and calmest seas, Naples makes a splash with water lovers and recreationists. Friendly parks beckon sports enthusiasts and picnickers with lovely green spaces and recreational facilities. Naples is located on the Gulf of Mexico in Southwest Florida. Naples Florida was inhabited in the late 1860’s by two settlers, Gordon and Wiggins, who arrived in the same area that the Caloosa Indians occupied centuries before. Today a river, two inlets and a major road still bear their names. The area was rich in game, fish, stretches of beautiful white sandy beaches and sunny mild weather. When the land boom of the 1880’s came along, reporters described the area similar to Naples Italy and so it was named. The town was built by a group of wealthy Kentuckians, a U.S. senator and a newspaper owner who recognized the area’s potential. It soon became a tourist destination with the famed Naples Hotel hosting such distinct visitors and celebrities as Thomas Edison, Henry Firestone, Greta Garbo, Gary Cooper, Hedy Lamar and Rose Cleveland. By the 1920’s construction of roads and railways increased the population, which tripled by the 1930’s. The 1940’s brought servicemen during WWII, the 1950’s brought more development, neighborhoods and civic improvements and by the 1960’s it became the fastest growing community in Collier County. Today, Naples is still the playground for celebrities of film, sports fame and dignitaries that enjoy the upscale communities, shopping, restaurants and golf that the city has to offer. With over 80 championship golf courses, it is named the “Golf Course Capital of America”. The Waterside Shops hosts a variety of boutiques and stores also found on Rodeo Drive in Beverly Hills and the beautiful and expansive Ritz Carlton Hotel. The Naples Philharmonic Center for the Arts and the Naples Museum are just down the street. Old Naples is home to 5th Avenue South where fine dining, unique boutiques and art galleries can be found and the Naples Beach lies just at the end of the street greeting you with soft white sand and panoramic views of the gulf. Available properties in Naples include executive homes, gated communities, high rise condominiums, luxury town homes and single family homes. If you are looking to be pampered with upscale living, Naples is the place you want to live. As for fishing, come on in, the water's fine! Yes, the temperate waters of the Gulf of Mexico provide a good year-round environment for a large number of catchable fish species. Whether your preference is fishing offshore over the wrecks or stalking lunkers in the backwaters, there's plenty of room for fishing in solitude. Naples has many experienced guides to help you catch that trophy. But if you want to explore on your own, there also are plenty of marinas and tackle shops for boat rentals, tackle and advice. And, if you would prefer, there are places where you can fish without a boat. Some of the more popular spots are our rivers and the Naples Pier. Many people also fish the canals , especially where and when the tidal currents are relatively strong. The beaches can also be productive, especially at dawn and at dusk. Whether your preferred technique is fly, spin, plug or bait, you will enjoy fine fishing in a great environment. Naples has hosted major state, national and professional tournaments for several decades and continues to expand its role in competition play. The LG Championship (Seniors Tour) has been played at the Classics at Lely Resort, the Vineyards, and Pelican Bay in past years. These events draw more golf enthusiasts every year to Southwest Florida. A large number of our developments are Golf Course Communities. Some excellent designers have carved a place in the sun. They include; Jack Nicklaus, Gary Player, Arnold Palmer, Arthur Hills, Tom Fazio, Robert Trent Jones, Sr., Joe Lee, and many, many more. In fact, we have more courses per capita than any area in the world. When you stop for lunch or go out to dinner, odds are you will be in close proximity to a golfer's table. Listen carefully; it might be tomorrow's match…. With so many wonderful and challenging courses in the area, it’s a new experience everyday!! One of the true joys of playing golf in Southwest Florida is you can see nature in the wild. Eagles, Osprey, Alligators, and other wild life abound. You just have to look for them, they are there. Watch where you go, you are on THEIR turf!! 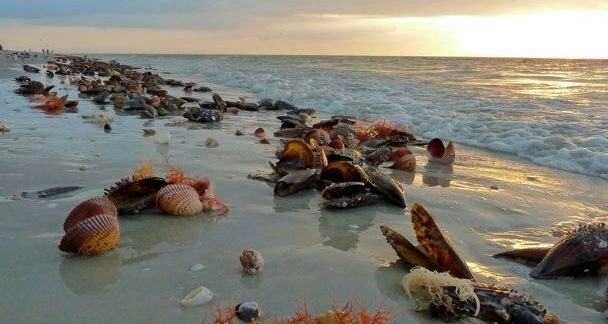 Known for its reputation as one of the finest shelling locations in the world, Sanibel Island is a favorite destination for visitors and locals alike. The warm waters that gently roll in from the Gulf of Mexico provide ample activities for those of any age. Getting up-close and personal to the 291 species of birds, over 50 types of reptiles and amphibians and at least 32 different mammals is easy with miles of bike paths and 6000 plus acres of National Wildlife Refuge that offer footpaths, canoeing and scenic drives. Shopping is experiences all its own with the many unique boutiques and shops that are nestled on this gorgeous island. Museums and galleries are filled with everything from shells to sculpture and the restaurants offer a new experience in dining with bistros, beachfront grills and romantic fine dining establishments. All due respect to Venice, Italy, but no other city boasts more canals than Cape Coral. Known as "The Cape" by locals, this easygoing waterfront community is naturally big on the boating lifestyle. Off the water, a variety of restaurants, stores and kid-friendly attractions help make the biggest city in Lee County feel accessible and well rounded. Be sure to visit Sun Splash Family Waterpark or Four Mile Cove Ecological Preserve, where a series of boardwalks let visitors meander through mangrove habitats without disturbing the wildlife. From humble beginnings as a loose collection of cattle-ranching, logging and fishing communities, Cape Coral came into its own in the late 1950s. The Rosen brothers, developers who saw the potential for an easygoing, waterfront lifestyle in Southwest Florida, created communities with canals to cater to the boating lifestyle. Celebrities were brought in to tout the benefits of "the Cape," as it's known by the locals. Today, this largely bedroom community for nearby Fort Myers offers a lively strip of restaurants and stores along Cape Coral Parkway, and an array of activities for kids including Sun Splash Family Waterpark, Mike Greenwell’s Family Fun Park and the brand new, 27,000-sq.-ft. Eagle Skate Park. Nature lovers will want to explore Four Mile Cove Ecological Preserve, where a boardwalk takes visitors through a mangrove habitat. And don't miss the creature Cape Coral's famous for: the burrowing owl, which can be seen day and night throughout the community. Clustered around the old train depot that brought industry to this pint-sized village near the southern tip of Gasparilla Island, this charming community, Boca Grande, has evolved into a playground for the rich and famous – and regular folk as well. Five beaches line the western part of the island, and a grand inn graces the outskirts of "town." Visitors delight in the barefoot elegance, fine outfitters and the miles-long bike paths that traverse the island. Offshore, North Captiva, Cayo Costa, Cabbage Key and Useppa Island intrigue island hoppers of varied ages, abilities and interests. North Captiva has pristine beaches and a collection of large rental homes and two restaurants; Useppa sports the Collier Inn, a beautiful botanical walk and, proof that good things come in small packages, the tiny-but-terrific Barbara Sumwalt Museum.